The Pradhan Mantri Jan Dhan Yojana (PMJDY) is a scheme that was launched across the country to help people open bank accounts. Having bank accounts could help them get interests on their money. Even the poor could open bank accounts because the lower limit was pushed down. It is therefore a method of financial inclusion that was meant to include the rural and urban poor under the financial umbrella. It will give financial access and benefits of having bank savings, insurance, pension and remittances to the account holders. The account holders will also be given RuPay debit cards so that they can withdraw their amount any time they wish to. How is PMJDY different from Swabhiman (previous Financial Inclusion Plan)? Swabhiman focused only on the rural area while PMJDY focused on both the rural and urban poor. Also in the former only villages with population greater than 2000 were covered. But PMJDY does not have any such limitations. It focuses on households and covers the whole country by sub service area coverage. The focus in Swabhiman was just on account opening which is why a major part of the accounts remained dormant. But in PMJDY the bank accounts will be linked to pension, insurance, credit and debit facilities. In Swabhiman once could open an account offline via the vendors while in PMJDY you open an account online. You have to visit the CBS of the bank to open account in PMJDY. No grievance method was specified in Swabhiman in case the account holders faced any trouble opening their bank accounts. But in case of PMJDY they do have the provision of sending grievance via SLBC. Also nowadays everybody has mobile phones. However Swabhiman had no mobile banking facility. PMJDY on the other hand provides mobile wallet and USSD based services to be provided. These are some of the basic and crucial differences between the two. Can I open a joint account through PMJDY? Joint accounts are usually opened with minors. For example, those who are minors but they need an account to get their scholarship. So they open a joint account with their adults to get the benefits. Similarly it can also be opened with an adult. For example, you have an adult whom you do not want to give the full responsibility of money. In this case you share the account with an account. Considering the need for the citizens to have a joint account, the government has decided that you will be able to open a joint account through PMJDY. This means that you can open a joint account in all banks under PMJDY. Where and how can I open an account? You need to visit a nearby bank branch that is designated for the task by the government. You have to check the list of the banks that are authorized to open account. Once you have located that specified bank. Visit its branch nearby you. There you will see a desk specified for handling PMJDY. The official who handles the task will be called ‘Bank Mitr’. The ‘Bank Mitr’ will explain to you everything what you need to do to open the account. He or she will also provide you a form to fill up your details. Just submit a valid ID proof along with it and you’re done. You will find Bank Mitr outlets nearby you. These will also help. What exactly is a BSBDA account? BSBDA is nothing but the abbreviation for Basic Savings Bank Deposit Account. This is the basic savings bank account that we know of. To open this type of account under PMJDY, you do not need any minimum balance – as per RBI guidelines. Also, in this type of accounts, you can make a maximum of 4 withdrawals per months. This means that even through ATM card, you cannot withdraw more than 4 times in a month. However, no such caps have been given on deposit. Also you can carry out any type of electronic or debit card transaction via this type of account. There are no extra costs levied for these services. Are there any eligibility restrictions for opening this type of account? To open the BSBDA through the PMJDY, you need to be more than 10 years of age. This means that if you are a minor that too below 10 years of age, you will not be able to open this type of account at all. Also, according to the policies, an individual can have only one BSBDA account under the PMJDY. He or she will not be allowed to have more than one BSBDA account. Income is not a bar for opening an account with PMJDY – although it is specifically for the poor sections. Also, you need to be an Indian resident to be able to open this account for obvious reasons. What is the RuPay Debit Card? The RuPay Debit Card is a debit card that has been introduced by the National Payment Corporation of India (NPCI). Through this debit card, one can withdraw money from the ATMs. These cards will be given to the BSBDA account holders in the PMJDY. RuPay cards will be accepted at all ATMs. As of now it is being accepted at 1.45 lakh ATMs to withdraw money. It will act as a normal debit card and also it will be accepted at all PoS machines – for making payments without hard cash in the country. All transactions through the RuPay debit card will be limited to India itself. What exactly is a PIN Number? A PIN is a short form for a Personal Identification Number. It is used to verify the details of the withdrawal for security reasons. By entering your PIN number you are stating the fact that you are the owner of the account. This is one of the reasons you should not share your PIN number with anyone. Anyone who knows your PIN number would be able to access your account. It is the security code – similar to a password that is assigned to people for accessing their accounts. A PIN number has to be entered correctly within three attempts, after which the access will be blocked. This is how it protects you from thieves. How can I keep my RuPay card safe? The RuPay cards need to be kept safely. There are several ways to do it. One of the best ways is to keep changing your PIN code at regular intervals. Also, as already mentioned, do not share your PIN number with anyone. When you are using the ATM, make sure there is full discretion. Many a times you may be suggested by strangers to write your PIN number on the card for remembering it properly. This is strictly against the rules. At all times you should keep your PIN number safely. The only way your hackers can use your RuPay card is by accessing your PIN number. Even when you are at your ATM or PoS you have to ensure that no one is seeing you entering the PIN number. It should be entered discreetly. If your RuPay card gets stolen or lost, contact the bank branch immediately. What special advantage does a RuPay card give me? It will help you process your transactions much easier within any ATM or Pos within the country. All your domestic transactions will become hassle free. The RuPay debit card allows nominal rate of processing fee on its usage. Since it is a domestic transaction debit or credit card, the banks charge lesser processing fee on it. These cards come at a lesser cost which makes them easily affordable. The cards can be taken by opening a savings account of low minimum amount and therefore they are easier to obtain by the masses. The RuPay credit and debit cards are used on over 8.75 lakh PoS terminals. Also all major ATMs accept RuPay debit cards now. Not just this, it is being used by over 10,000 e-commerce websites now as well. To avail this card, the bank does not charge any extra processing fee to the account holder. Also, these cards provide a wide range of benefits to the card holder. If you are a RuPay card holder then you will also get an accidental insurance coverage up to Rs. 1 lakh from the government without any cost. Can illiterate customers get RuPay debit cards? Even if you are illiterate, you will be able to get the RuPay debit card. So the simple answer is yes, you can get it. However, if you are an illiterate person, the bank branch manager will give you extensive guidelines on how to use it. You must listen to these guidelines by heart because it will help you keep your debit or credit card safely. At the time when you get this RuPay debit card, you must insist on getting to know the details of the process. In order to keep it safe you will have to understand how it functions. This way you can use it when you need it. How can I link my mobile number with my bank account? PMJDY is allowing customers to have mobile wallet. You can therefore link your mobile number to your bank account to access it from your mobile phone.However, you will have to understand the safety measures so that your account remains safe after linking it. If you wish to link your mobile number to get updates about the withdrawals and deposits from your account, you can go ahead and add your mobile number. This can be done by a simple adding of mobile number on the form. The form which you were given for opening the account is where you have to add your mobile number. By doing this you allow the banks to automatically add your mobile number through their CBS system. You have to register your mobile number to get access to all your online payments through the mobile number. How can I keep my debit card functional? RuPay card in itself is highly effective. It can be used across various platforms. It is interoperable across various channels. NPCI has provided RuPay debit and credit cards the option to carry out transactions across various platforms. You can also use to make payments online. However to keep the debit card operational you will have to use it at least once every 45 days. If you fail to use it at least once within 45 days then you will not get the benefits of the insurance coverage – although the card itself will not come to lose its transactional properties. You can use it to withdraw in the ATMs or to make any online transactions, etc. How long will my debit card be valid? If it expires, how can I renew it? The expiry date of the card depends upon the date and year on which you made the card. This is why one debit cards expiry date might not match with another’s. Your particular validity month and year will be mentioned on the card itself. You can see for example a message such as “April 2018” written on it. This means that your card will be valid until the last date of April, 2018. To check the validity of your debit card, just check the card thoroughly. Now that you know the expiry date, get a fresh new debit card made way before the expiry date. This way when the old card expires, you can immediately start using the new one. The method to apply for the new card is very simple. All you have to do is visit your bank branch and apply for it. If I have two RuPay debit cards will I get two times the insurance coverage? If suppose now you have two RuPay debit cards with you, then you still will be given an accidental insurance coverage once. In case of joint account holders, usually two debit cards are given. However, this should not mean that you will get two times the insurance coverage of Rs. 1 lakh. The insurance coverage will be given to you one time only. This insurance coverage is given on one account. Hence, even if you are in possession of two debit cards, you will be given a onetime insurance coverage of Rs. 1 lakh on your account. Such an insurance coverage is given only on one account. A PoS stands for Point of Sale Terminal. Such a terminal is usually located in retail stores. It helps you to carry out cashless transactions with your debit card. With the RuPay debit card you will be able to carry out cashless transactions through PoS terminals. Usually the idea of PoS terminals is to enable you to carry out transactions without cash. The PoS terminals will read your cards and check if you have sufficient funds to carry out the transaction. If you do, then your transaction will be processed and a receipt will be given out by the terminal concluding your purchase. Does a person having a bank account in another bank need to open a Jan Dhan account to get the benefits of accidental insurance coverage? If you already have an account with another bank but you want the benefits of the insurance then you might not have to open another account. According to the banks, all you need to do to avail the benefits of this scheme is get a RuPay debit card. Hence, you will have to get in touch with the bank to get a RuPay debit card attached to your existing bank account. By having the RuPay debit card, you can avail the benefits of the accidental insurance coverage. Even the credit facility can be extended to the existing bank account if it is being operated adequately. Hence, all you need is a RuPay debit card for the account that already exists. You don’t need to open a new account to get the accidental insurance coverage. What is the issue of overdraft of Rs. 5000 in the PMJDY account? For whom is this feature available? The overdraft facility is available to any account holder who has an active account for over 6 months. Also, the account should have a good transactional record, that is, no delayed payments, etc. The amount that you can avail as an overdraft is Rs. 5000. It can be extended up to Rs. 15000 in case the person has had exceptional financial record over the past few months or years. The bank will seek declaration from the one who is availing the overdraft. In case you have Aadhar card credentials, you have to produce the same to avail this benefit. There is a nominal interest rate of 12 to 20 percent that will be charged to the account holder on availing this benefit. Can overdraft facility be availed for more than one account? This overdraft facility will be given to any one member of the family itself. Also it will be given to one account holder in a household. So for example, you have three account holders in your house – only one of you can avail this benefit. So one of the account holders from your family will have to go ahead and get this benefit. It is recommended, not necessary, that the overdraft facility is availed by a female member of the family. The government in its initiative to empower women has made it a preferable clause that the overdraft is taken by the female member of the family. However, if you don’t have a female member in your household, you can use a male member’s account to avail it too. What exactly is the accidental insurance coverage? Who has to pay the premiums? The accidental insurance will be provided to the account holders who have the RuPay debit card. The RuPay debit card will play a key role in activating the accidental insurance coverage. You will be able to get coverage of Rs. 1 lakh under this scheme. To avail the benefits of this insurance scheme, the account holders do not have to pay any premiums. Yes, that means that you will not have to pay anything from your pocket to get this insurance coverage. At present the costs are being borne by the government. The NPCI is paying the premiums and per card the present premium is Rs. 0.47. If both husband and wife are opening the account, will they be getting the (accidental) insurance coverage, LIC and overdraft separately? When it comes to getting the accidental insurance, it will be provided to all the account holders. In fact, if two people have opened an account, then both of them will be getting the benefits of accidental coverage. Same is the case with the Life insurance coverage of Rs. 30,000. All individuals will be getting this coverage. However, the overdraft facility is just for a single person within the household. This means that according to the question, if a husband and a wife have opened an account, then either the husband or the wife (preferably) will be able to get the overdraft of Rs. 5000. What documents do I need to produce to open a Jan Dhan Account? If you have Aadhar card, then you don’t need to produce any other documents. Then only if your address has changed then you need to provide a self certificate of your present address. If you don’t have Aadhar card then you need to produce any one or more of the following – Driving License, PAN card, Voter ID card, NREGA card. If any of these contain your address, then it will also serve as the proof of your address. In case you don’t any of the documents mentioned above, then as per the guidelines of RBI, you can open a “Small account” with the bank. For opening a small account, you will just need to produce your photograph and give your signature or thumb impression on the documents needed by the bank. Also, you will need to produce a letter which is duly attested by a Gazetted officer. My present address is different one than the one printed in Aadhar card. 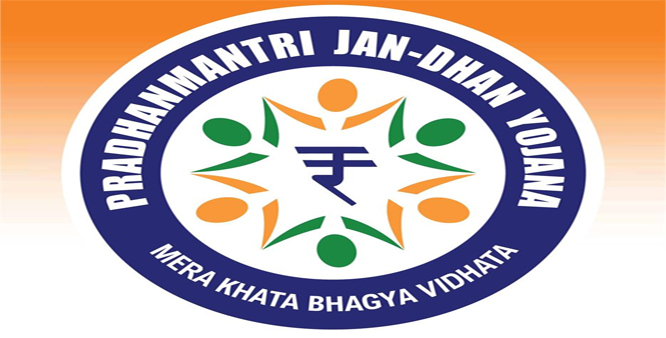 Can I still obtain Jan Dhan Account? As already mentioned, you will have to produce the proof of address only if you have a permanent one. If for some reason, you have had to move or the address mentioned in the Aadhar card is different from the one you presently reside in, state that in a self certificate. This means that you just have to attest by yourself that you live in your present address and produce it in the bank at the time of document verification. So indeed, you can open an account, even if you have relocated and you address is not the same as on your documents anymore. What is the insurance cover of Rs. 30,000 that PM Modi announced on 28.01.2014? Those who open the Jan Dhan account will be provided an insurance cover of Rs. 30,000 as per the RBI rules. This is what PM Modi has announced in his speech. But basically this feature was given to anyone who would open their account within a specified period of time. Back then when he announced it, if anyone opened their account within 26.01.15, for the first time, they would get this benefit. However, more changes are on the way for the same. New notices regarding this insurance cover are being processed and will be rolled out soon. Will cheque books be issued for those who open their accounts under PMJDY? To accommodate even the poor persons, the Jan Dhan accounts are being opened at zero balance. This means that you don’t even have to have money in your account to be able to open a Jan Dhan account. However, in order to get cheque books issued, you will have to have some minimum amount in your account. By default cheque books are not being issued for this account. But since these accounts are being treated as all other accounts, anyone who wishes to have a cheque book can apply for the same. You will have to maintain a minimum amount as per the guidelines of the bank for it. What are the special benefits of having a PMJDY account? First of all you will get an accidental insurance coverage of up to Rs. 1 lakh. This insurance amount will be given to you without you having to pay any premiums. This benefit is only for the Jan Dhan account holders. Government benefits such a LPG subsidy and other amounts, can be directly transferred to your account. No middlemen will be involved in getting this. You can transfer money easily from any part of the nation. Also you can avail the benefit of having RuPay debit cards which allow you to carry out smooth transactions. You don’t need a minimum balance to be able to access this account. You can open this account even with zero balance. Only to access ATM you need to have money in account. Through this account you will also get access to other products related to pension and insurance. More schemes can directly reach you and you can get host of government benefits. Another advantage is that you will get over draft facility on this account. You can take out loans on the basis of your past account transactions. I don’t have any official document to open an account. Will I be able to open a Jan Dhan account? If you do not have the official documents required to open a Jan Dhan Account then you can open a “small account” as per the RBI notifications published in 2014. The small account is the type of account that has restricted aggregates. It cannot have more than 1 lakh rupees a year in aggregate credits. Also in such an account you cannot have more than 50,000 rupees at any point of time. Also you cannot withdraw more than Rs. 10000 in a month. Such accounts can be opened only by a photograph. Also you will have to put your signature or thumb impression under the vigilance of the Bank Mitr. How much interest can I earn through a PMJDY account? For the PMJDY accounts, the interest rate that is being available in the banks at present is 4 per cent. The interest rate for savings bank accounts is almost the same in all banks. Hence for those opening an account under the PMJDY, the interest rate is going to remain the same, as per the notifications. Now if you were to take other facilities from your account, such as an overdraft, then you will be charged an interest rate on your amount. This is different from the amount of interest you receive on your savings. The interest rate on cash deposited at savings is currently fixed at 4%. So what will be the interest rate charged on the overdraft facility? As already mentioned, the overdraft facility has some regulations as prescribed by the Reserve bank of India. You will be charged an interest rate between base rate 2 percent to 12 per cent (whichever is lower) on the money that has been taken. So you can take any amount up to Rs. 5000 (Rs. 15000 if you have an exceptionally good transactional record with the bank), and you will be charged 12 per cent interest rate on that amount. This is the present rate that is being charged by banks. Will the banks open an account opening camp again? Many of the interiors of the country are dependent on the account opening camps to open their account. This is why the banks will once again go for their account opening camps and they will not just target the rural areas but also the sub urban and city areas for more and more people to open their accounts. However, if you still haven’t opened your account, you don’t need to depend on the camps. You can visit your nearest bank branch and meet the Banking personnel who are assigned with the task of PMJDY. Meanwhile the government has ordered all the nationalized banks to open camps on every Saturday from 8 A.M. to 8 P.M. Banks can also hold additional camps on other days. I have all the necessary documents for Aadhar card; can I get my Aadhar card through the banks and get my PMJDY account opened? The government is encouraging you to make you Aadhar card registration and simultaneously opening your account. If you don’t have Aadhar card yet, then you can get them made from the banks directly. Just visit the bank camps with all the necessary documents for Aadhar card and the banks will register you. If you missed the deadline for registering for Aadhar card, then that too can be done via the bank camps under UIDAI. By having an Aadhar card, I will be easier to avail the government benefits in future. Receiving subsidies under government scheme and general identification will become easier. Therefore, if you have the documents, go for it. Just visit the bank camp with all your documents. Do I have to pay any fee to open an account with PMJDY? To open a bank account with the PMJDY you will have to pay a fee of Rs. 20 now. This was not levied until 2015. But those who are going to open their accounts from April 1, 2015 are going to have to pay a miniscule fee of Rs. 20 to open their accounts. This fee can be paid during account opening at the bank branch or the bank camps organized for opening accounts. However, apart from this fee, there are no other hidden fees or charges. All the rest of the amount you can deposit to your account directly or you can even open an account with zero balance. Can a minor (below 18 years) also open his or her account with PMJDY? A minor who is below the age of 18 can very well open the account with PMJDY, but only if he is above the age of 10. If your minor is below 10 years of age, he or she will not be able to open this bank account with PMJDY. Many a times the minors need an account to be able to apply for scholarships, etc. With an official account under PMJDY, they will be able to apply and access all the benefits of the government. To make this possible the government has made it a rule for anyone above 10 years of age to be able to open a bank account. Who is a Bank Mitr or a Business Correspondent Agent in the Jan Dhan banks? They fill out your application forms – or help you to do so and assist you with opening an account. They help you with small value deposits and also withdrawals. They provide you with the mini account statements and give you other account related information. They also give you debt counseling and advices on how to manage your account, etc. If there is any other service to be provided by the Bank, they do it. How does the Bank Mitr help us to use bank’s services? Bank Mitra is entrusted with the job of reaching out far and wide to the regions around the country where baking services are not available. They are the human form of the bank branches and they are also the ATMs. They help you become aware of all the services that you are going to get from the banks. They are therefore here with the task of expanding the bank’s reach far and wide. Also, they have to identify potential customers in a region. If there is anyone who would be suitable to open accounts with the bank, then the Bank Mitr identifies them and makes them aware of advantages of opening bank account. Who can become a Bank Mitr? Banks have managed to entrust this task with personnel from all sectors. Retired bank employees, ex servicemen, retired government employees, retired teachers, etc are the people who are eligible to become Bank Mitrs – usually banks choose these people. Those who own kiranas or fair price shops or even medical shops are usually the ones who are selected for the task are Public Call Office (PCO) individuals. The agents of the small savings schemes of the government have also been entrusted with the same. Also the individuals who are agents of the companies that have been registered under ‘for profit’ in 2014, have been selected for acting as Bank Mitr. Can I transfer my Jan Dhan Account to another state/city if I shift or get transferred to another city/state? Since you are holding the account with the banks that have Core Banking Solutions, there will be no issue of this. Even if you are transferring to another state or city, you can easily move your account to the branch closest to you. Since you are going to open a Jan Dhan account with all the nationalized banks your records will be held intact in the database. This is why when you will transfer from one state or city to another; you will absolutely have no problem with maintaining your records and account details. Just ask the bank or Bank Mitr to assist you with the transferring process. What is USSD service? How can I use it? USSD stands for Unstructured Supplementary Service Data. USSD based services allow you to find out the make basic enquiry about your account, transfer money or even pay bills through your mobile phone for a meager charge of Rs. 1.50 per use. This type of service can be carried out by all phones. All you need to do is visit your nearest bank and get your mobile number registered for this service. The bank will issue a Mobile Pin or MPIN to you. After getting the MPIN, dial *99# from your phone. It will open a new menu. Thereafter you have to follow the selections on the mobile screen to complete your desired service. One Zero-Balance account and an associated debit card from RuPay. Upon opening the account, the account holder are entitled to accidental insurance coverage of 1 lakh which will be provided by HDFC Ergo. Additionally, opening an account entitles the account holder for RuPay Kisan Card. Once the bank account remains active for 6 months, the account holder will be offered the facility of overdraft of ₹5000 from the respective bank. Account holders will be allowed to check balance from normal phones (previous restricted only to smartphones). They can also use their normal phones for transferring funds. This feature has been made available by National Payments Corporation of India using a new technology. National Unified USSD Platform also made mobile banking available to the poor people. You can Deopist Rs 50,000 in your PMJDY account and can withdrwal Rs 5000 from ATM. Only 2 transactions in a months would be allowed. The government also plans to include other features like pension, remittances and micro insurance under this scheme over the coming years. Debit cards, direct transfers etc. will allow cashless transactions to take place. With cashless transaction, every financial transaction gets recorded, which effectively increases the white money transaction of the country. This will, to a great extent, eliminate the black market that has for long plagued the Indian economy. The scheme opens up doors to formal credit sector. This is specifically helpful for rural sectors like agriculture, handicrafts etc. Access to formal credit will mean that poor people can now borrow money at lower interest rates (as opposed to informal credit sector). This will help them to overcome immense debt problems and increase their productivity. Access to direct bank accounts and ability to make financial transactions through mobile and debit cards will rule out the third-party middle men (specifically in agricultural and other rural sectors) who embezzle money. Farmers or rural industry works will be able to buy/sell products at better rates. This will mobilize the whole economy and improve the lifestyle of the deprived classes of the country. Even the bare minimum deposit of ₹ 100 in every account will create a pool of money that will help India as a whole to repay international debts that have accrued over years. There is absolutely no doubt that direct access to government’s financial services will eliminate pilferage and lead to positive spin-offs that will set the whole of Indian economy to a growth trajectory. What are the possible negative aspects ? Overdraft facilities are not readily available to everyone. Banks have their own guidelines and the account holders need to adhere to the same. Overdraft facilities are provided depending on the transaction history of the account. Direct financial transactions will require direct contact of buyers and sellers. This is one of the major hurdles in the rural sectors. Education and knowledge is the primary hindrance. For instance, many farmers and labors don’t yet have information about the potential buyers. Government needs to educate them and open up channels. The primary goal of the scheme is to provide bank account for those who do not have one. However, it may be possible for those who already have accounts to open another account with additional benefits as declared by the government. This however can be dealt with ease with some strict vigilance from the banks. So far the results of the scheme are impressive. In fact, the word ‘impressive’ will be an understatement. On the very first day on which the scheme was launched, a record number of 1.5 crore bank accounts were opened all over India. By September 2015, the numbers ramped up to 3.02 crores with State Bank of India leading with 30 lakh bank accounts. By November 6, 2014, the numbers reached the 7 crore mark with a total deposit of ₹ 5,000 crore, which is equivalent to US $ 1 billion. The Pradhan Mantri PMJDY managed to pave its way to Guinness World Record on January 2015. According to Guinness World Records, the scheme set a new record of “The most bank accounts opened in one week”. Only time will tell whether the intended purpose of economic growth will be achieved by this scheme or not. Currently it seems that Modi government will possibly hit the target of continued economic growth spree with new schemes and endeavors that are designed to make India emerge as a global socio-economic and political power. With the massive success of the Jan Dhan Yojana, the government has decided tomake the scheme available with additional requirements. First off, the scheme has now been included with Rs 10,000 overdraft Instead of 5000 Rs. Second, the Jan Dhan Yojana now is with an age entitlement relaxed to 18 to 65 years. Lastly, the government has implemented accident insurance of accounts after August 28 with a limit of about 2 lakh.